AlgoSeller is a mobile performance-based marketing company, specializing in the monetization of mobile traffic by using proprietary algorithms to target, convert and retain customers. 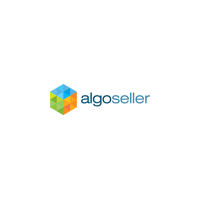 AlgoSeller is managed and self-funded by a group of serial entrepreneurs with a proven track record of establishing and running profitable software, web and mobile businesses. The team is composed of engineers and media buying experts that are developing the next-generation mobile marketing platform, specializing in ROI positive conversions.